Maya Kodnani, convicted of murder in the riots in Gujarat in 2002, has repeatedly complained to the court of being unable to contact BJP chief Amit Shah. 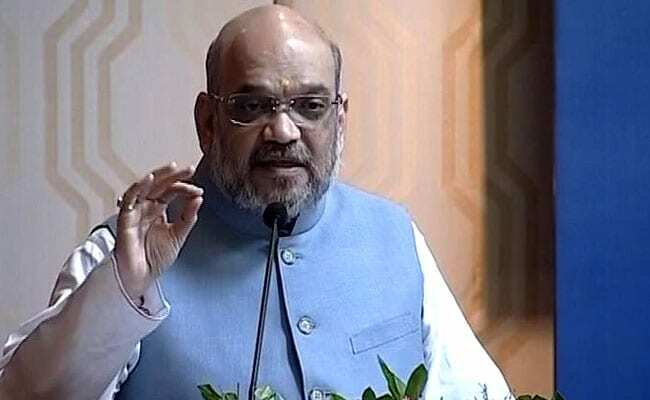 Amit Shah, the president of the BJP, has been ordered to appear as a witness for Maya Kodnani, a top leader from his party in Gujarat who has been convicted of murder in the riots that tore the state apart in 2002. A judge said that Mr Shah must on Monday appear either in person or assign a lawyer to respond to what Ms Kodnani claims: that she was not present when 11 Muslims were killed during the 2002 riots in Naroda Gram, a suburb of Ahmedabad. Ms Kodnani, a trained gynaecologist, has repeatedly complained to the court of being unable to contact Mr Shah. The judge today said that a summons will be served to him by the court asking him to appear as a defence witness on Monday. Ms Kodnani has been found guilty of the massacre of nearly 100 Muslims in a neighbourhood called Naroda Patiya. She is also on trial in another case of murdering 11 Muslims on the same day in neighbouring Naroda Gram, just 10 kms away. She says that when the violence erupted, she was with Mr Shah and others at the hospital that she ran in Ahmedabad. At the time of the riots, she was a state legislator like Mr Shah. She later served as Minister for Women and Child Development till she was arrested in 2009.